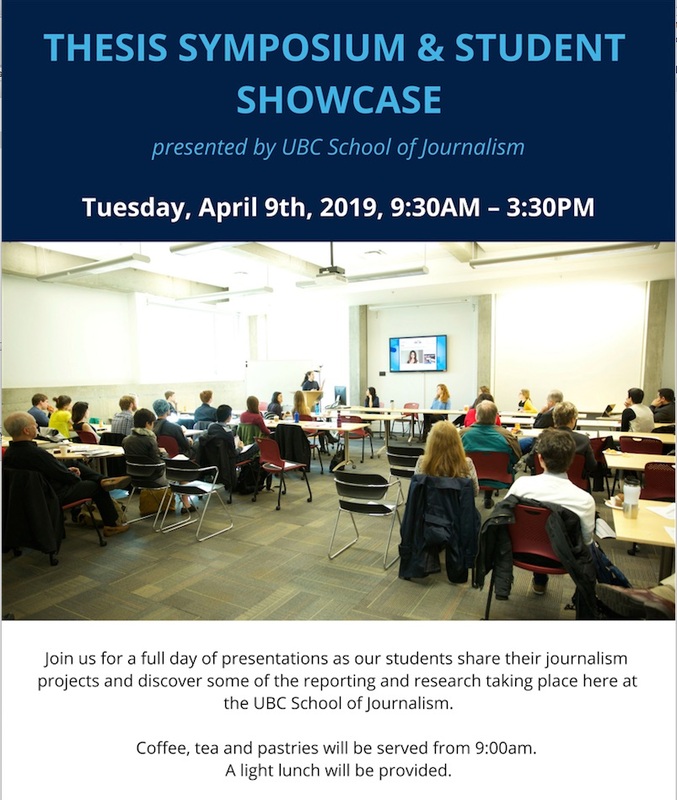 We are pleased to invite UBC Journalism students, faculty, staff and community members to the 2019 UBC Journalism Thesis Symposium and Student Showcase taking place on Tuesday, April 9th from 9:30am to 3:30pm. Students will share their journalism and research projects from the past year, including work from courses such as Feature Writing, Visual Journalism, Imagine Journalism, the water investigation, Reporting in Indigenous Communities, advanced audio, and more. Coffee, tea and pastries will be served from 9:00am and a light lunch will be provided.